Shapiro Auctions is one of the most reputable auction houses headquartered in New York City. Established in 2007, it is known throughout the world for its many high-quality sales of American, Latin American, European, Russian, and Asian works of art created at different times. Besides, Shapiro auctions often bring truly impressive results for antique icons that are sold at prices much higher than their original estimates. The next Shapiro auction dedicated to fine and decorative art will be held in New York on June 2. Featuring 417 lots, it offers a unique selection of paintings, sculptures, books, religious icons, drawings, memorabilia, and other collectibles of exceptional value. So let’s look at the key highlights of the upcoming Shapiro Fine & Decorative Art Sale! Painted by Nikolai Rerikh, one of the most important 20th-century Russian artists and esoteric writers, this amazing work was once part of the famous collection of the Roerich Museum in New York. It is estimated at $180,000 – 250,000. 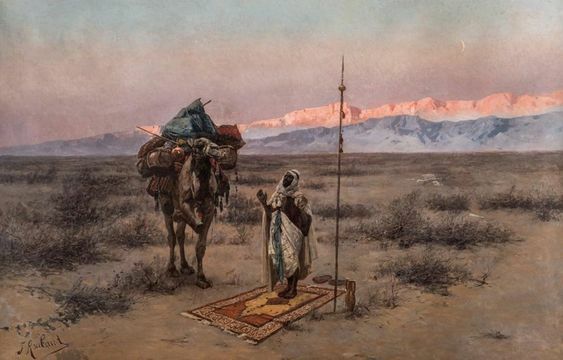 Created by a famous Russian artist Franz Roubaud, “Meditation in the Desert” is definitely one of the best and most impressive monumental paintings to be auctioned at Shapiro Fine & Decorative Art Sale. Its estimated price is $70,000 – 90,000. 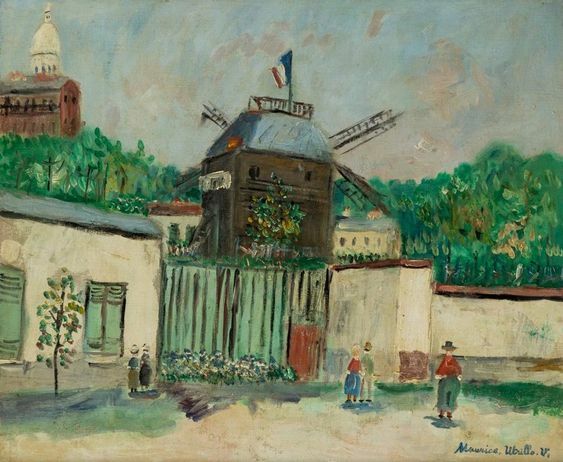 Another highlight of the upcoming Shapiro auction is “Le Moulin de la Galette,” a classic example of the well-known cityscapes by Maurice Utrillo, a French artist noted for his picturesque yet naïve works. It is estimated at $60,000 – 80,000. One more prominent example of Russian art is the work by a famous Russian post-impressionist painter Konstantin Gorbatov. 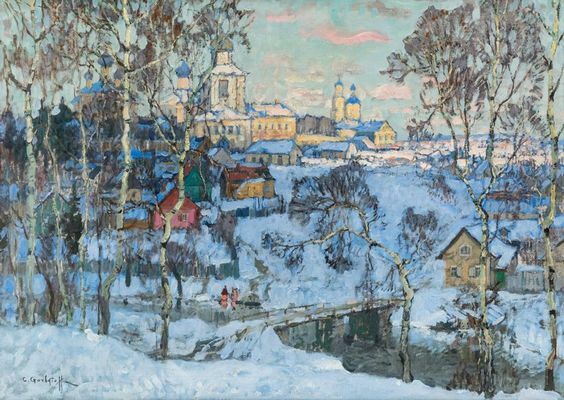 As the name suggests, it depicts the river Volga with the surrounding winter landscape. The estimated price of this beautiful painting is $50,000 – 70,000. 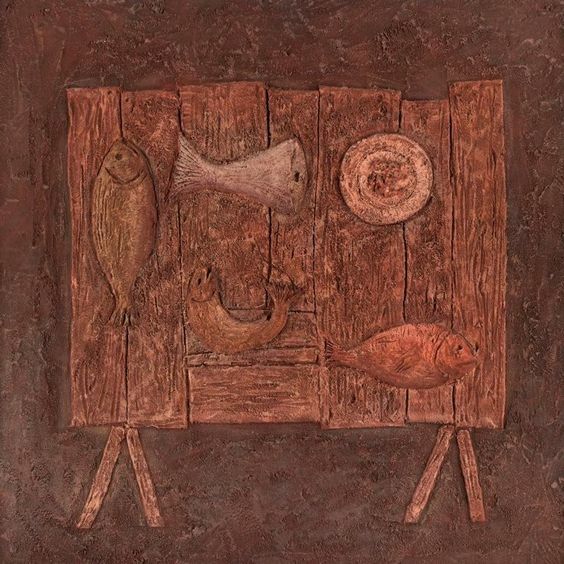 “Fish Market” is a no less valuable painting to be auctioned at Shapiro Fine & Decorative Art Sale. Created by a renowned Italian-born artist Domenico Gnoli, this unique work in mixed media is estimated at $40,000 – 60,000. Among other important works being put up for sale at the upcoming Shapiro auction are “Paysage de Bretagne” by Robert Delaunay, “Belvedere” by M.C. Escher, “Meadow View” by Stanislav Zhukovsky, “Mere et enfant” by Le Pho, and “Thippayasathan Nai Chit (Heavenly Place of the Mind)” by Charlemchai Kositpipat. Stay with us to know the results of this exceptional Shapiro Fine & Decorative Art Sale!